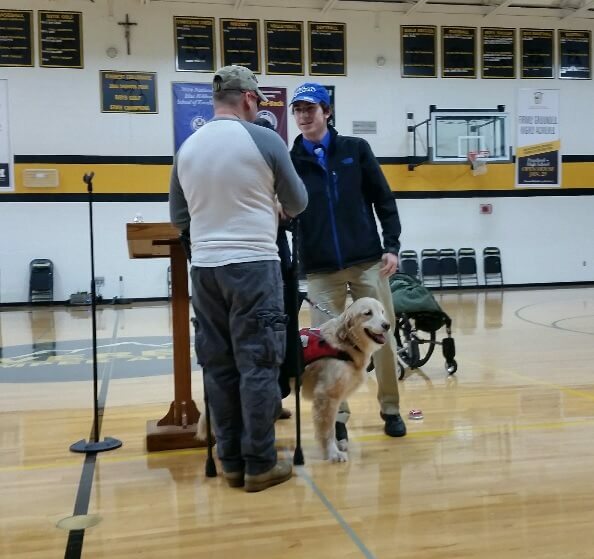 As part of the Catholic Schools Week celebrations, the student body of Everest Collegiate and Academy heard from a man who exemplifies the virtue of positivity and perseverance. 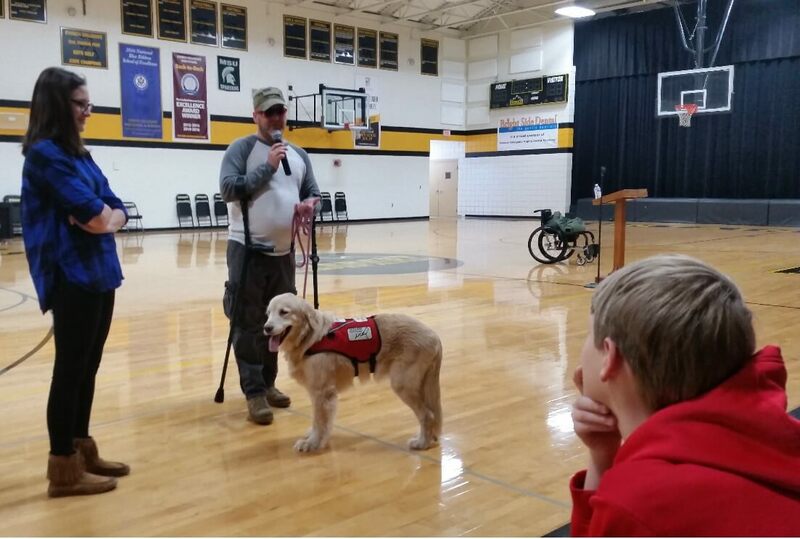 US Army Sergeant and Marine David Denhardt talked about his experiences serving as an Infantryman in Afghanistan in 2012, where he was wounded in a rocket attack. 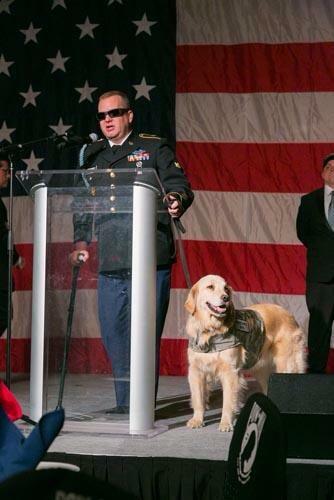 Suffering a traumatic brain injury and seizures, as well as Post Traumatic Stress Disorder (PTSD) and several other physical injuries, he still serves his country, traveling the speaking circuit to present the needs of veterans and working closely with veterans’ organizations across the state of Michigan. 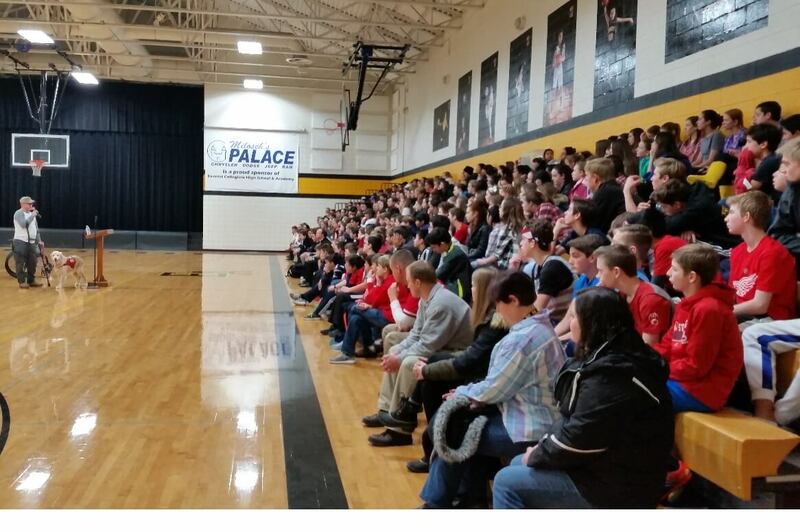 Highlighting the gift of freedom we have as citizens of the United States, he focused on taking personal responsibility, and encouraged students to strive to be accepting of their peers and all those with whom they come in contact. He also stressed the importance of helping the less fortunate. “There is always someone out there with greater trials than those you may endure” he reminded his listeners. 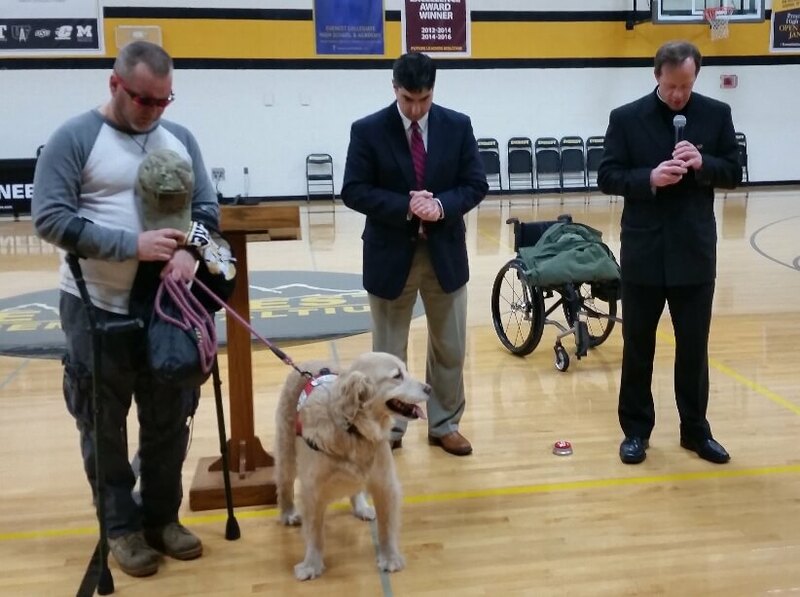 The students were also able to meet Sergeant Denhardt’s assistance dog, Tank, who demonstrated who she helps the Sergeant manage daily tasks most take for granted. ← Fun with Paper Airplanes! → A Gala Kick-Off Party Thank You!